Spring. I love you and hate you. You bring the promise of new things and warm weather, but you never just happen. Last weekend, we ate lunch outside and went for a walk at a state park without jackets. This weekend, we're getting more snow. I DON'T UNDERSTAND. Anyway, I'll stop complaining about the weather because a) it'll be hot before you know it, and b) I'm not a cranky 85-year-old. Or am I? Anyway, this quiche feels like spring to me. It's light and fresh and simple, but also warm and cheesy and comforting. It straddles the line between weather and feels right for whatever spring throws at us: I can picture myself eating it in a cozy sweater in front of a fire, but also on a picnic blanket in the sun. The potato crust is so simple and a great substitute for a butter-and-flour crust. Not only is it healthier, but it also speeds up the quiche cooking process considerably. 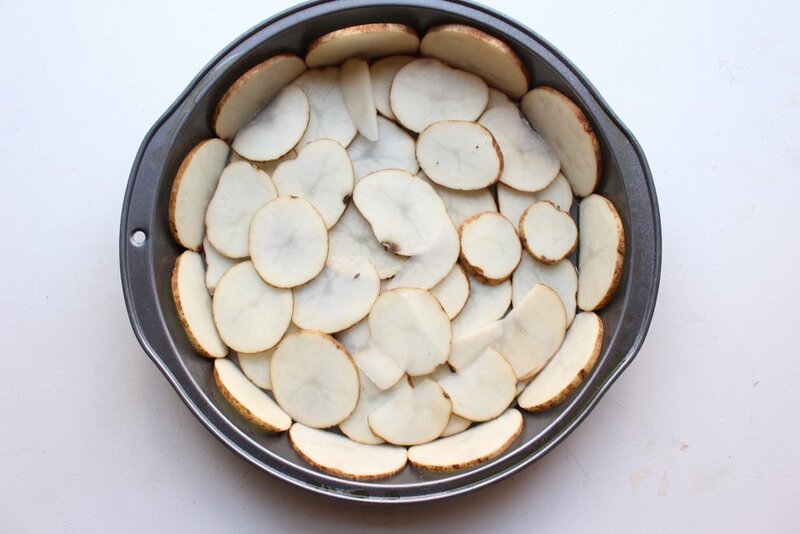 A couple of tips: The slight fluting outward of the pie plate sides helps the potatoes stay upright while they cook. You also want to slice the potatoes thinly enough that they're pliable, but not so thin that they get crispy or warp too much when initially cooking. Preheat the oven to 400. Wash and dry the potatoes. Very thinly slice (about 1/8 of an inch thick) with a knife or a mandolin. Cut a small slice off of one edge of the thin potato slices to create one flat side. Spray or brush a pie tin with one tsp of oil. 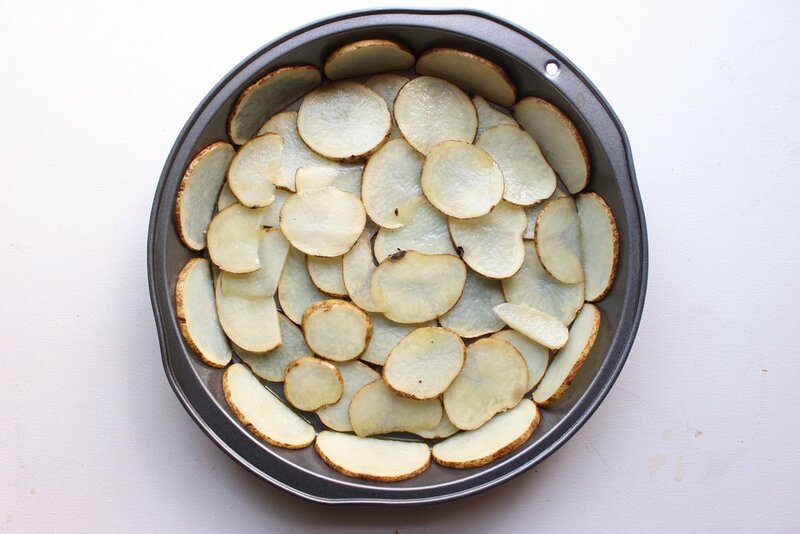 Place a single line of potato slices around the edge of the pie plate with the flat sides down. Then, cover the bottom of the dish with a layer of potatoes. Using the rest of the potato slices, fill in gaps on the bottom and sides. Brush or spray the raw potato crust lightly with olive oil and sprinkle with salt. Cook for 10 minutes (until the potatoes just start to soften) and then remove from the oven. While the potato crust cooks, slice and chop the leeks and shred the cheese. In a large bowl, whisk the eggs and milk until small bubbles form. Add the Dijon, salt, and pepper and whisk again. Add the leeks and cheese and stir well to combine. Pour into the potato crust and press lightly to even out the leeks and cheese. Cook for 20-25 minutes or until the center of the quiche is set. To check, jiggle the quiche lightly and if the middle wiggles, continue cooking. If the middle is set, it won’t jiggle. If the top browns too much before the eggs are set, cover with tin foil and continue cooking. 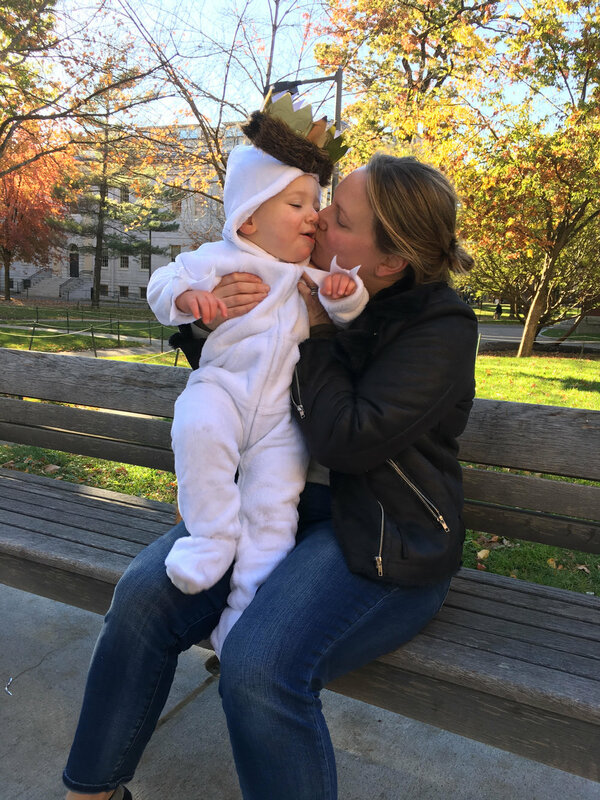 PS: I'd love to know more about anyone who reads this blog! If you feel so inclined, I have a short (10 questions! ), anonymous survey that would really help me to know how to best tailor content. Thanks a million!